Our firefighter hangers are made of durable, solid stainless steel and ensure that your stationwear is properly and practically stored. We also offer these firefighter hangers for stationwear and first responder equipment. 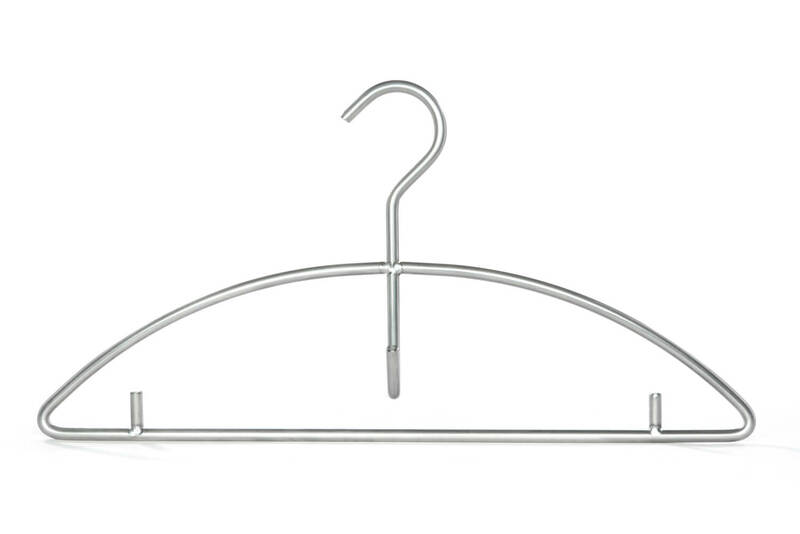 In each case we can provide you with a hanger width that will fit perfectly into your locker. Firefighter hangers are available with wire thicknesses of 6 mm and 8 mm. In terms of width, you can choose between 45 cm and 54 cm as standard. On request, we also supply other widths. Generally, a firefighter hanger also has holders for braces. Additional hooks for personal protective equipment are available on request.